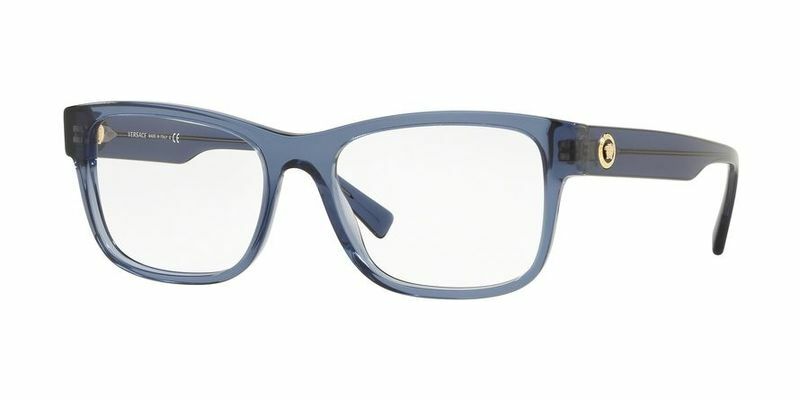 These are perfect Versace VE3266 eyeglasses frames for men who don't want to compromise their style for durability - they're fashion accessories for men who like fashion and practicality. Sports lovers and people, who love being outdoors doing things, favor these plastic frames. They're strong and reliable eyeglasses, meaning you'll be able to go about your everyday life and maintain all the activities you did before without letting your eyewear get in the way. No two people are the same, which is great in the idealized world, but it makes it more challenging when it comes to finding the perfect pair of Versace VE3266 glasses that suit your face and style. These simple pillow frames are subtle in their design and lightweight, allowing your personality to shine through so you can really wear them and be �you�!